Serve with sugo and pasta, cut it up for a meatball sub or pull apart and place on a flatbread. The following article, written by Jerry Finzi, appears on GrandVoyageItaly.com. My Mom did all the daily cooking–soups, chicken, pastas, but my Dad did the special meals: Thanksgiving turkey, Christmas baked ham, roast beef and lots of other Italian specialties like smelts, fried eel and quick lunches like his “potatoes and egg” frittata. He was always great at making something from pretty much anything he found in the fridge. But what I loved best was the way he made fist-sized meatballs in the deli. Only one of them would fit into a pint sized container. It was always a special treat when he brought some home. 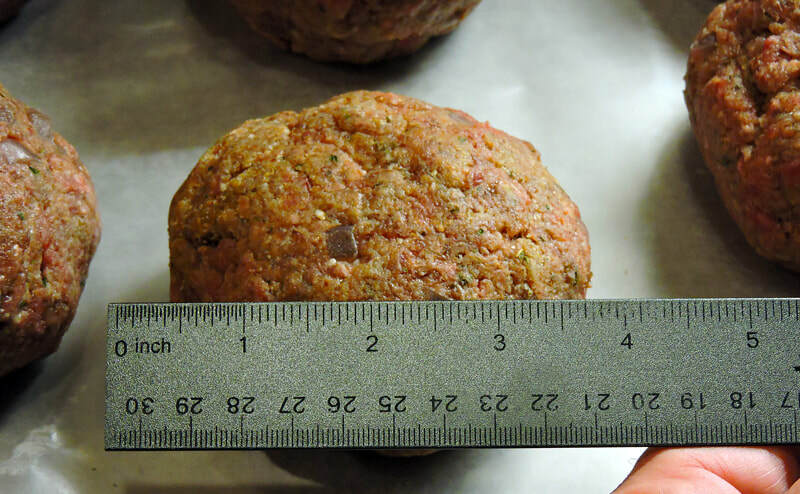 One of these giants on a plate with spaghetti was a feast–one meatball equal to about 4 or 5 the way my mother made them. No need to ask for any other meatballs–one was certainly more than enough. Once every few years, in honor of Dad, I set out to make his meatballs, his way. His size. In this recipe, we used about 4 pounds of beef–ground chuck. 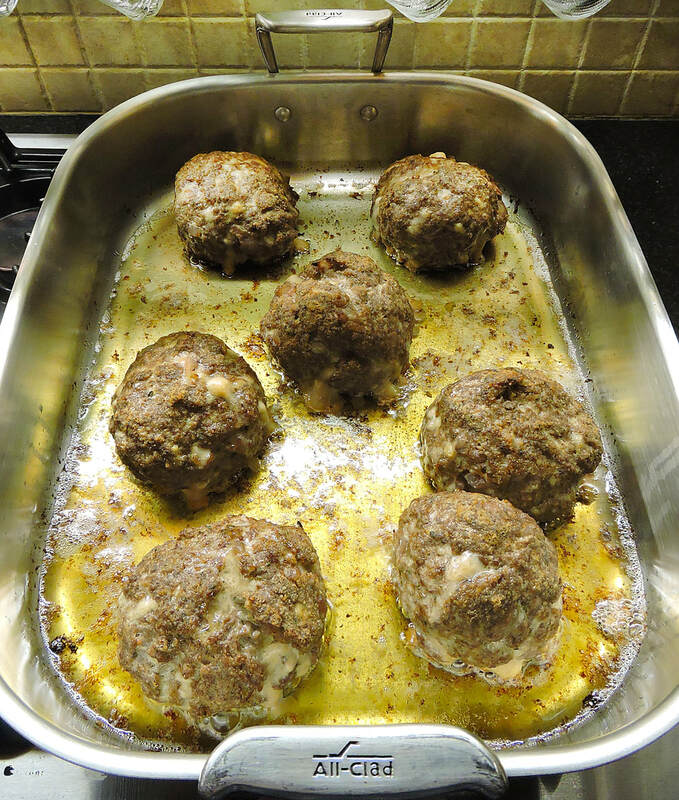 You can use your own family’s meatballs recipe or the Grand Voyage Italy style HERE. The ingredients would need to be increased to account for the 4 pounds (if you’re making a lot), or simply make less meatballs. 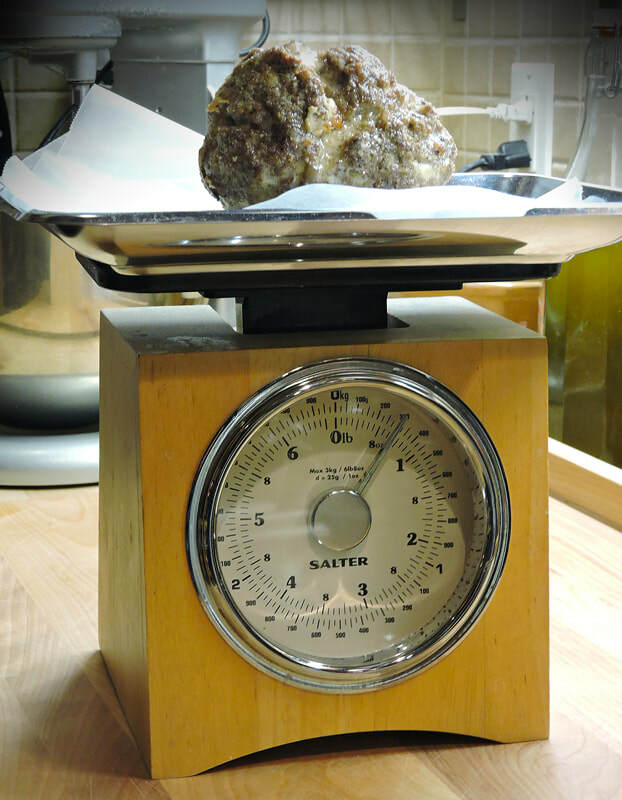 Four pounds would give you 6 to 8 giant meatballs. In the bottom of a roasting pan, I placed light olive oil, about 1/4″ deep. 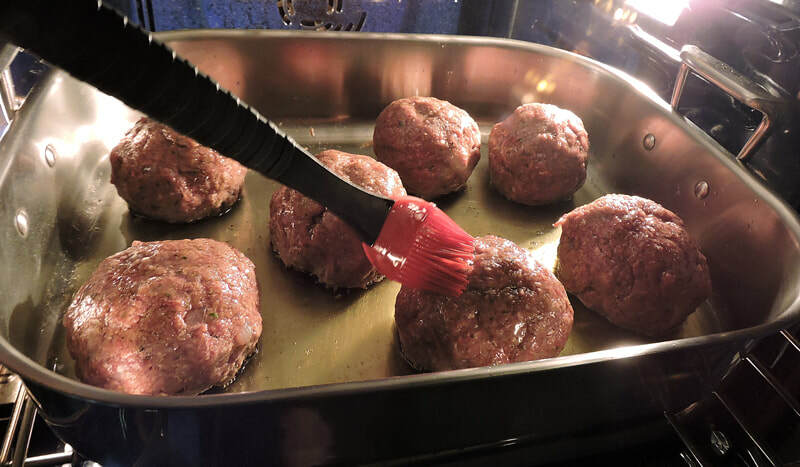 The meatballs are placed in the pan and brushed with Extra Virgin Olive Oil to help the browning. 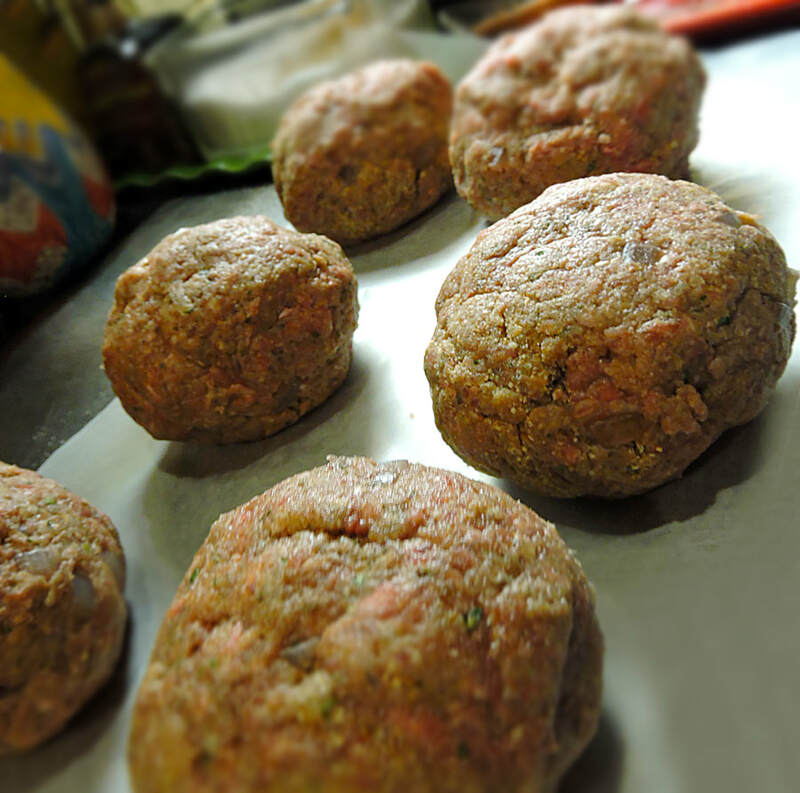 The oven should be pre-heated to 450 F at first, then roasting the meatballs, uncovered for about 30 minutes. Next, cover lightly with foil and turn the oven down to 350 F and bake for another 30-45 minutes (ovens vary). Check occasionally to ensure the bottoms aren’t burning. Turn the meatballs over a few times, if necessary. You want them nicely browned, or until the internal temperature reaches 165 F (using an instant digital probe thermometer). 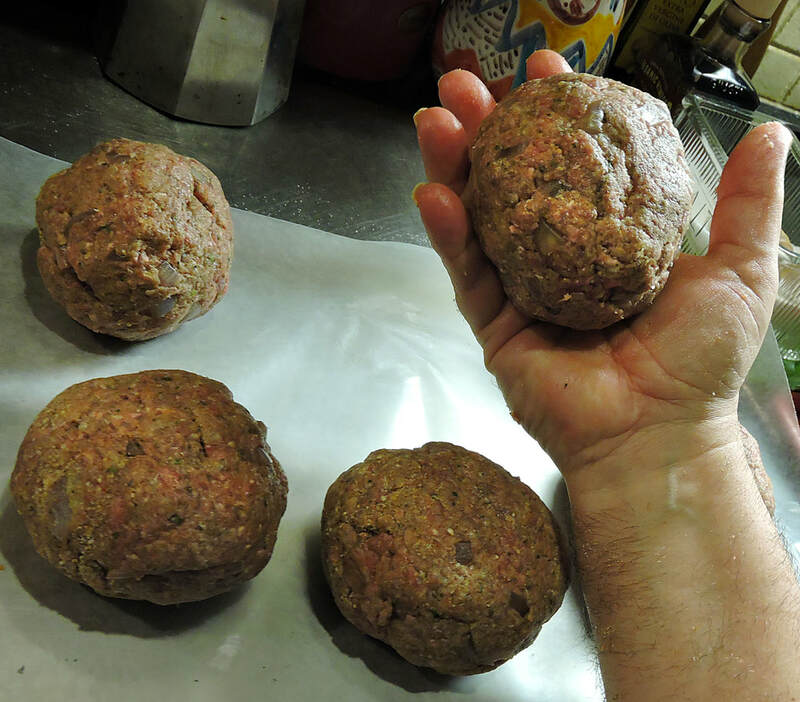 No matter how you enjoy them, you’ll love making these huge polpette–my dad, Sal’s Giant Meatballs. Thin, crisp and authentic -- the perfect combination for Italian pizza lovers. We had to sample this, and yes, it's as good as it looks.